Thinking of your next car purchase but not sure what you want? 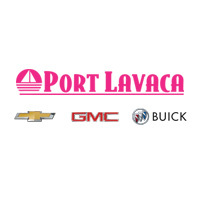 Port Lavaca Chevrolet Buick GMC near Victoria, Texas has tons of new inventory! You can schedule your test drive online to insure we have the car you’re looking for before you come in. No hassle, no fuss, just car buying fun! Whether you are shopping for the rugged Chevy Suburban or the roomy Chevrolet Equinox we have the know-how to get you in and out fast. At Port Lavaca Chevrolet Buick GMC we make trading in your car easy. You can estimate the value of your trade in using our online tool. This will save you time and money. We also encourage you to use our payment calculator to calculate your monthly payments. We want the people of Port Lavaca to leave Port Lavaca Chevrolet Buick GMC comfortable and satisfied with their purchase. Don’t forget to apply for financing online. Spending all day in the dealership is a thing of the past. At Port Lavaca Chevrolet Buick GMC near Victoria, Texas we make car buying fast and easy. We are conveniently located at 1501 State Highway 35 S Port Lavaca, TX 77979. We are proud to be serving towns such as Victoria for many years. You can learn more about us by visiting our dealership online or in person.